With Nick Cross off to Maryland, Penn State’s 22-man 2019 class is officially official. 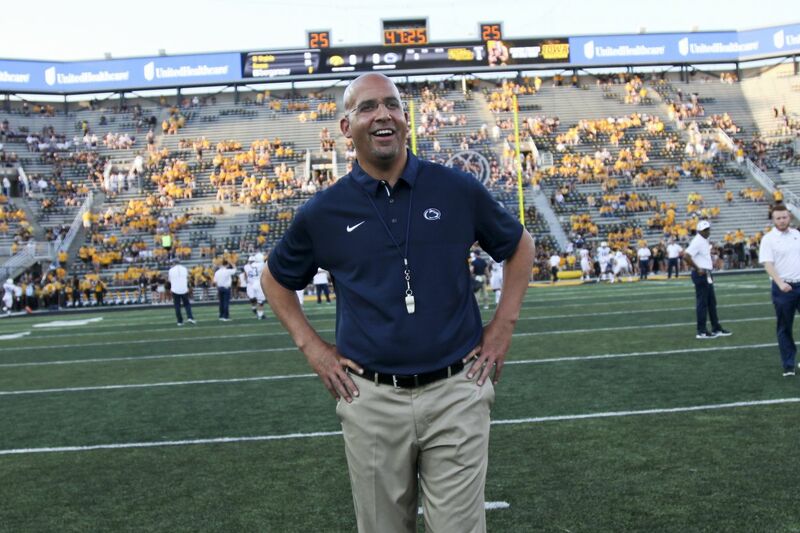 Despite some weaknesses in the region, the Nittany Lions signed the No. 13 class in the country, making their third consecutive class ranked in the top 15. For 2020 though, the bar will be set higher — both from a quality and quantity perspective. Quality wise, the region is much deeper in 2020 than it was in 2019. While Pennsylvania is still in a downswing (for what it’s worth, 2021 looks much more promising), the rest of the region is stocked with talent. Maryland specifically is loaded, and it’s shaping up to be the strongest Maryland class this decade. From a quantity perspective, you can expect a large class from Penn State. I mean, very large. Penn State has room for an 18-man class — and that’s before any NFL draft declarations, portals, retirements, etc. 28 is the working number in 2020, and even that might not get them to 85 come August 2020. The 2020 QB class is rather light in the region, so I’d expect Penn State to hit it nationally for the most part. Currently, they have just three offers out to quarterbacks who remain uncommitted — Bobby Ashford (Alabama), Anthony Richardson (Florida), and Micah Bowens (Nevada). 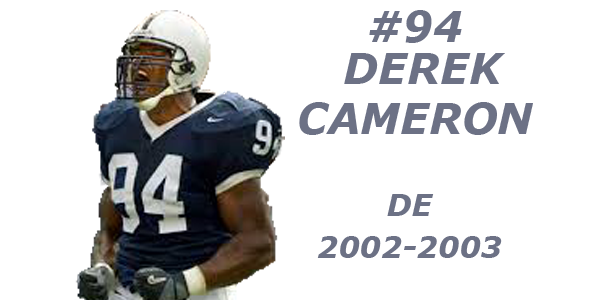 Ashford is the most highly-touted of the group, and while he does have the Nittany Lions in his top four, I wouldn’t expect Penn State to win that one out. Ashford is a legitimate baseball prospect too, and being that he wants to play both sports in college, I’d expect him to stay in the SEC. Richardson and Bowens are interesting dual-threat options. Richardson has yet to visit (he just decommitted from Florida), while Bowens made an unofficial to Happy Valley along with a bunch of other Bishop Gorman prospects. He picked up his Penn State offer while on the trip. While Penn State will absolutely take a QB in 2020, I think it should be noted that 2021 is where the real prize is that — that being Pennsylvania’s Kyle McCord or Washington DC’s Caleb Williams. Both will be at least Top 50 players in 2021, and very well could be five-star prospects too. With the way quarterback recruiting is sped up for the elite guys, expect Penn State to really begin pushing hard for both this spring and summer. I have running back listed at one for the class, but two wouldn’t surprise me given how much talent is in the region — MarShawn Lloyd (Maryland), Chris Tyree (Virginia), Jalen Berger (New Jersey), Lamy Constant (New York), and Michael Drennen (Ohio) are all Top 150-caliber prospects, while guys like Tirek Murphy (New York) and Tim Baldwin (Virginia) are four-star prospects in their own right. There was originally a lot of smoke with Lloyd and Penn State, but that has subsided in recent months. The Nittany Lions still a player for sure, but Georgia is coming hard, while Maryland is a legitimate option with Lloyd’s former high school coach, Elijah Brooks, now on UMD’s staff as the running backs coach. Penn State is in a good spot for the Virginia-native Tyree, holding three of the four 247Sports Crystal Ball predictions. If you haven’t been keeping tabs, the state of Virginia has been good to Penn State running back wise the last two years, with Ricky Slade and Devyn Ford hailing from the Old Dominion state. Having a five-star in Tyree join that haul would be pretty sweet. Berger brings a little more size to the position at 6-foot-0, 187 pounds. He’s also versatile enough to be a top-tier safety too, but it remains to be seen which position he prefers. Expect a Big Ten battle here, with the Buckeyes holding an early edge. As for someone Penn State hasn’t offered yet, I really like Constant. Really good size at 5-foot-11, 200 pounds, and like Berger, brings that positional versatility as a potential safety. He goes to the same high school as 2019-signee Adisa Isaac so if Penn State does get involved, it should be in a solid spot. So there’s Julian Fleming. I wouldn’t label anyone a “must-get” because one recruit won’t make or break a program, but goodness, it would be absolutely devastating to Penn State if Fleming went elsewhere. Fortunately, the Nittany Lions have a ton in its favor — Fleming is from a big Penn State area, grew up in a Penn State family, and James Franklin has been leading his recruitment for a while. Fleming will see other schools and take his visits, but all things considered, the Nittany Lions should be happy about where they stand. Beyond Fleming, Jaden Dottin (Connecticut) and KeAndre Lambert (Virginia) are two names to know in the region. Dottin made two trips to Happy Valley over the summer, and then returned for the Maryland game. Meanwhile, Lambert has visited Penn State twice — the first time for the Whiteout Game, and then most recently for the Junior Day on February 2. From a national perspective, Florida might be a good state to start with. Penn State’s lone two wide receivers in the 2019 class hailed from Florida, so don’t be surprised to see the Nittany Lions pop up back in Florida for a wideout or two again. With Nick Bowers and Jonathan Holland set to exhaust their eligibility in 2019, Penn State will be down to Pat Freiermuth, Zack Kuntz, and Brenton Strange come 2020, meaning that a two-man tight end class could be in the works for this recruiting class. At the top of the board is Canadian Theo Johnson (Ontario). The 6-foot-5, 235-pound Johnson landed an offer from Penn State after a camp performance in the summer, and made it back to Happy Valley for the Iowa game. Since then, he’s earned plenty of other Power 5 offers, with Michigan, Michigan State, Georgia, and LSU all coming through. The Wolverines specifically might be the biggest threat to Penn State. Johnson is right on the Michigan border, and is just 1.5 hours away from Ann Arbor, so they are much the “local” team in this case. I’m expecting Johnson’s recruitment to be one of the more heated battles between Penn State and Michigan in 2020, and it appears that has already started with Tyler Bowen’s not-so-subtle of Josh Gattis. Fun stuff. As for the second tight end, it’s still a little early to know of legitimate names. Lukas Ungar (New Jersey) certainly makes some sense, while five-star Darnell Washington (Nevada) recently took an unofficial visit to Penn State. First and foremost, yes, taking six offensive linemen is a lot. You usually don’t want to overload like this, but after only taking two high school offensive linemen in 2019, Penn State is kind of at a point where you can afford to overload for one class. As currently situated, Penn State is slated to have 11 offensive linemen on the roster come 2020. Ideally, you’d like that number to be 15, so when you account for basic attrition, six in the 2020 class pretty much gets you to about where you want to be. Not to mention, it’s just a really, really good year for offensive linemen in the region — especially at offensive tackle. Penn State already has one committed in the 6-foot-6.5, 300-pound Grant Toutant (Michigan). He didn’t get a ton of pomp and circumstance when he committed, but as evidenced by the Ohio State, Michigan State, and Wisconsin offers, this kid can play. Absolutely massive and moves very well for a kid his size. Aaryn Parks (Washington D.C.) might be a name to know for the very immediate future. He’s scheduled to visit Penn State this weekend, and has mentioned that he’s close to making a decision. With the Nittany Lions owning his Crystal Ball, well, you can probably deduce what is on the horizon. Parks, like Toutant, is a massive kid — 6-foot-5, 309 pounds. Good athlete, but very raw. And again like Toutant, looks the part of an offensive tackle that can crash inside should the need be there instead of on the outside. If Toutant and Parks is the building base of your offensive line, then Penn State will be off to an a-okay start. Sticking with kids that Penn State is in a good spot for, there’s also Michael Carmody (Pennsylvania). The name might sound familiar, as he’s the brother of former basketball target (and now current Notre Dame player) Robby Carmody. While the Michael is a very good basketball player in his own right, his future is in football. More specifically, as a left tackle. And (hopefully) even more specifically, in Happy Valley. Two other local tackle prospects that Penn State likes are Olu Fashanu (Washington D.C.) and Jimmy Christ (Virginia). Both have long, lean frames — Fashanu at 6-foot-5 and Christ at 6-foot-7 — that make them look like power forward prospects. Fashanu was last on campus for the Maryland game, while Christ was in town for the Junior Day on February 2. Not an offensive tackle, but RJ Adams (Virginia) is a guard that you should know about. Fellow offensive guard Golden Achumba (Maryland) of DeMatha Catholic just got offered too. Zak Zinter (Massachusetts) is someone who Penn State identified early, but Michigan could be tough there. Anton Harrison (Washington D.C.) is also a local prospect who Penn State could pop up for.